We install custom design grid connect solar systems and battery storage systems for domestic commercial markets. We can design and install a system from 1.5kw to 10kw solar packages for domestic and 10kw to 100kw solar packages for commercial, which fall under the small scale generation systems category. Anything over 100kw is considered a Large Scale Generation units. We are Licensed Electricians and we can handle any electrical job, big or small. No matter what the problem, we have the solution. 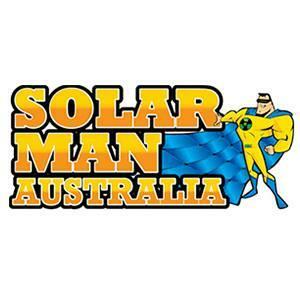 Solar Man Australia is the new brand name of the Hook-Up Electrical Services P/I. Established in 2003, we have been serving the residents and businesses of Penrith, Nepean and Sydney for over a decade now. Complimenting our growth, success and highly positive feedback from our clients, we have transformed our business into a superhero. A super hero, whose mission is to bring the best solar energy products from around the world to the people of Australia.With a mission of making the switch from industrial electricity to renewable energy as swift and pocket-friendly as possible, Solar Man Australia offers a wide array of products that suit every budget.